In the fast paced world we live it today; it is refreshing to pay tribute to an airplane the term obsolete and not reusable may never apply: the legendary Douglas DC-3 /C-47 still linger on. 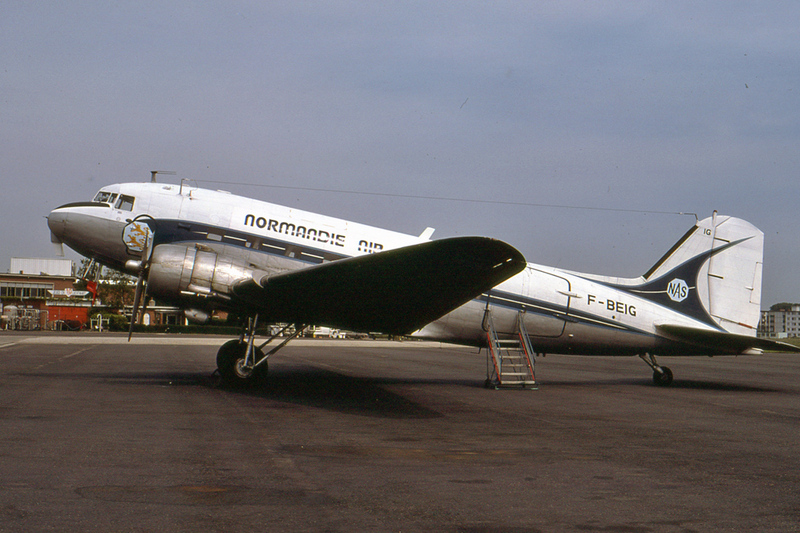 Although it has been over 80 years it has first flown, as many as a 900 examples still survive as wrecks/relics in museums and some even keep hauling passengers and cargo. 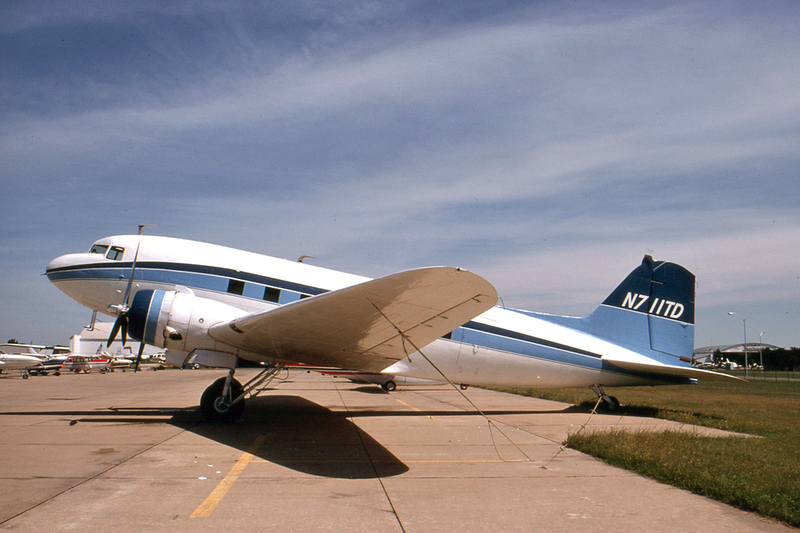 This page pays tribute to the different Dakota's, DC-3s and C-47s from around the world, restored show-birds, nostalgic airliners, VIP transports, tired cargo haulers and decaying hulks from the past and present. 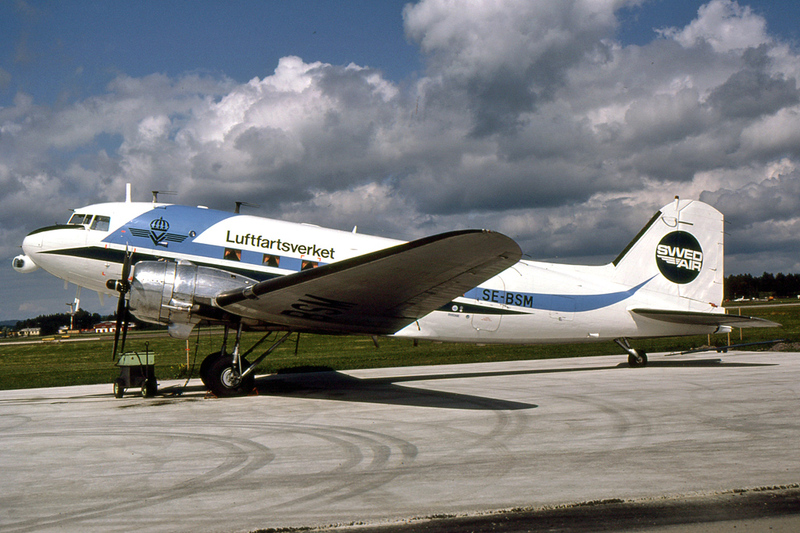 According to the latest Air Britain worldwide DC-3 survey as off October 2010, there are 164 derelict airframes, 219 stored examples, 336 preserved airframes and 281 active airframes, totalling 991 DC-3s and 9 DC-2s. Douglas logo's and production factory logo's by Arthur Pearcy 'Douglas DC-3 Survivors' Motorbooks International – Aston Publication Volume 1-2 (1987 and 1988) and Sixty Glorious Years 1995 Airlife Publishing Ltd Aircraft reference and data: DC-3 history and aircraft date from2006 Air Britain, The Douglas DC-1/DC-2/DC-3 'The First 70 Years' and the 2011 75 Years Celebration Edition + 1996 The Legacy of the DC-3 by Henry Holden. All rights reserved, no pictures and or contents from this page may be reproduced and/or copied in any form or by any means, electronic or mechanical…with out prior permission by the owner of this website. 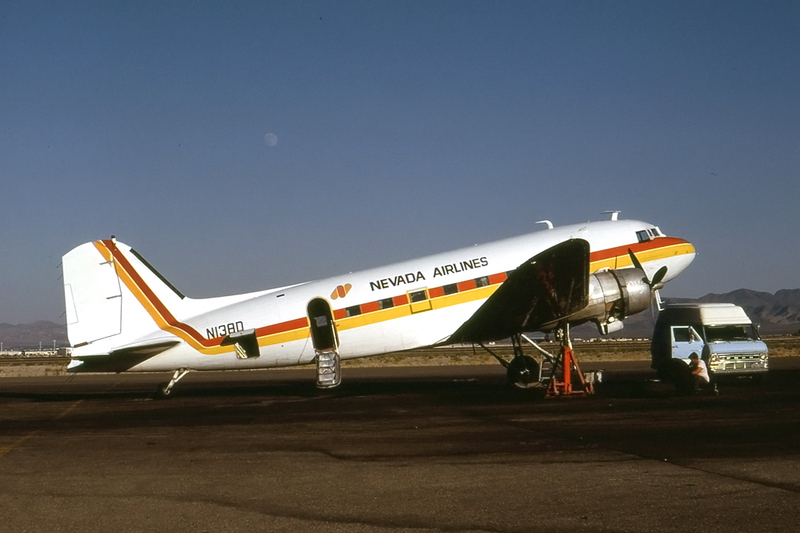 Nevada Airlines DC-3-277C N138D (c/n 2245) June 1978. She is now on display at the Boeing Museum of Flight as Alaskan Airlines. 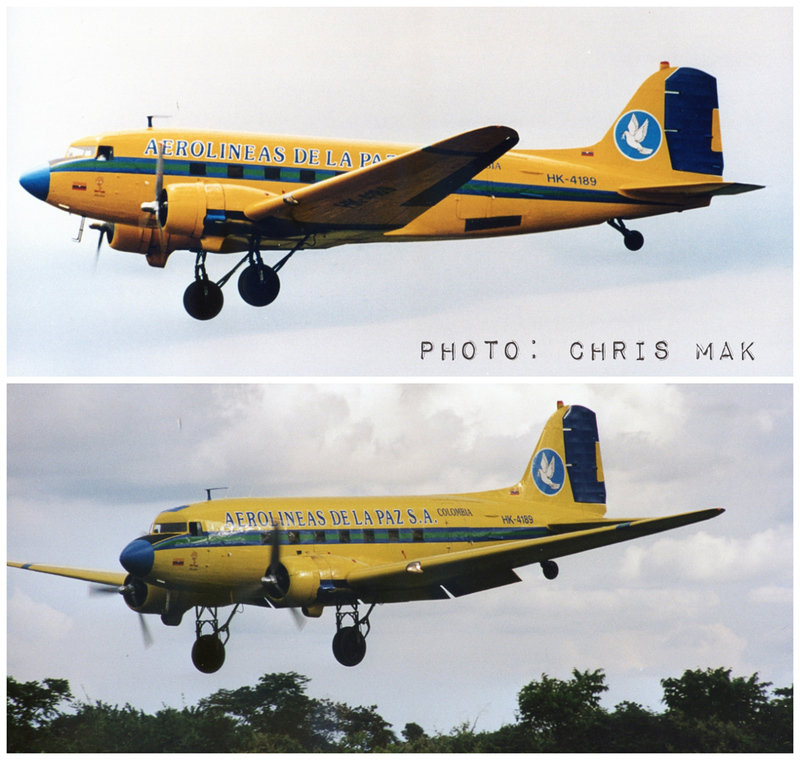 Aerolineas De La Paz Colombia DC-3 HK-4189 (4319): built as a C-47-DL April 1942 for the USAF as 41-7820, ex TC-ALA, N53F, N2111M, left Miami Feb. 1980 to Colombia, impounded Madrid AFB (1990-1993) to Sadelca February 1995. 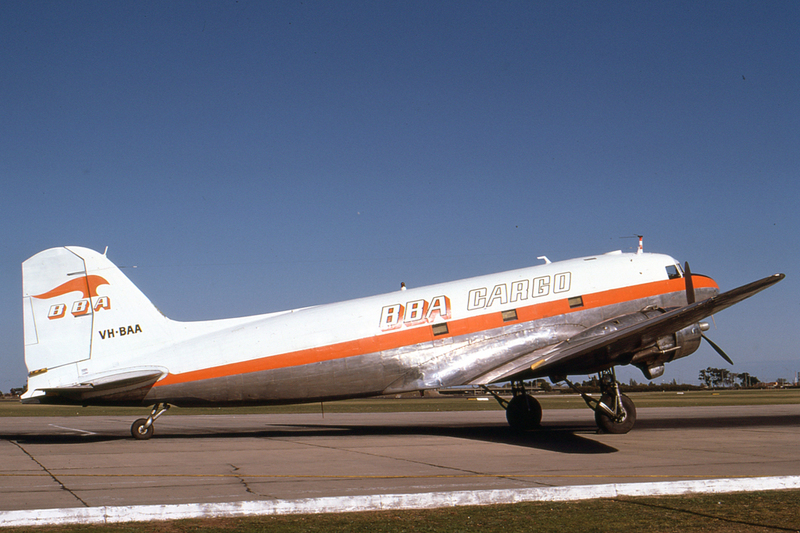 BBA Cargo C-47A-20-DK VH-BAA (c/n 13084) August 1975. She is currently on display at the Alice Springs Museum as VH-EWE Australia. Douglas C-47A-15-DK N711TD (c/n 12679) now on display as N242AG at the Meseo del Aviazione Italy. Normandie Air (Ex Africatours) F-BEIG (10253) C-47A-60-DK delivered to the USAF as 42-24391 September 1943. ex LX-DKT Legend Air wfu at Oostend, a/c moved to Zaventum Brussels airport for static restoration. 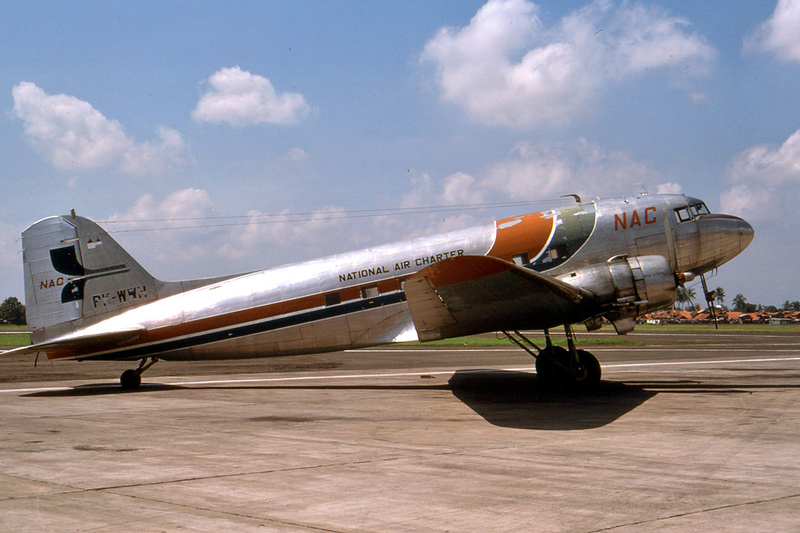 Aerolineas De La Paz Colombia DC-3 HK-4292 (13177) built as a C-47A-20-DK (42-92383). 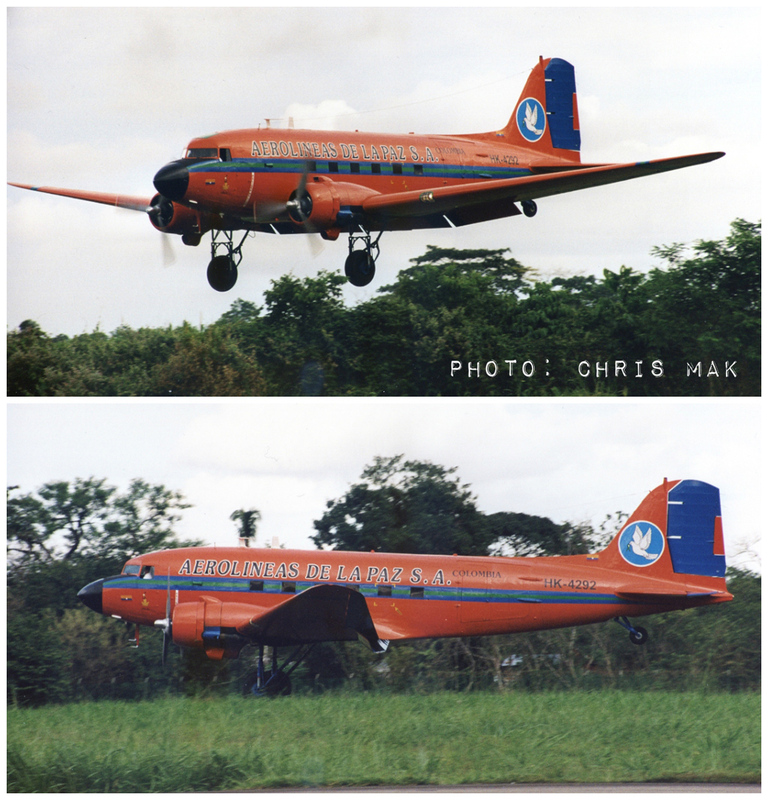 Ex Wheeler Airlines CF-DME, Faucett OB-PBJ-544....stored at Villavicencio in ex Aerovanguardia colors.